After 2016 figures were released showing the highest level of anti-Semitism in the UK since records began, pray that we will be emboldened to make a stand against anti-Semitism in all its forms and wherever it may occur. Pray too for the Jewish community that is increasingly and inexcusably targeted by hatred that has no place in the UK. Pray that anti-Semitism, veiled as criticism of Israel, will be exposed for what it is. Pray for Jewish communities in the United States, following another wave of bomb threats targeting Jewish community centres. Pray for those impacted by anti-Semitic attacks – for a Jewish lady who had bacon left at her door and for Jewish students that were shocked to find Holocaust denial leaflets at campuses across the UK. Pray for the two Jewish brothers injured in a violent anti-Semitic attack in Paris. Pray that they will make a full recovery and also pray for the Jewish community in Paris. Praise the Lord that the meeting between Theresa May and Benjamin Netanyahu demonstrated the importance and strength of the UK and Israel relationship. Pray that the UK will stand with Israel and that bi-lateral relations will continue to increase and be productive. Praise the Lord for the re-positioning of US policy towards Israel, clearly evident at President Trump’s meeting with Prime Minister Netanyahu. Pray that the relationship between America and the Jewish State will be strengthened and that both Donald Trump and Benjamin Netanyahu will have wisdom, discernment and courage in the days ahead. Praise the Lord that the UK government determined that it would be unlawful for councils to boycott Israel. Praise the Lord that Prime Minister Netanyahu had a successful visit to Australia and that Prime Minister Turnbull was clear in his government’s support for Israel. Pray that the agreements made during the trip will be productive going forward. Pray that the international community will hold Iran to account over reports of testing a ballistic missile and a nuclear-capable missile. Pray that the United States and UK will particularly take a strong stand in opposition to Iran destabilising peace and security in the region. 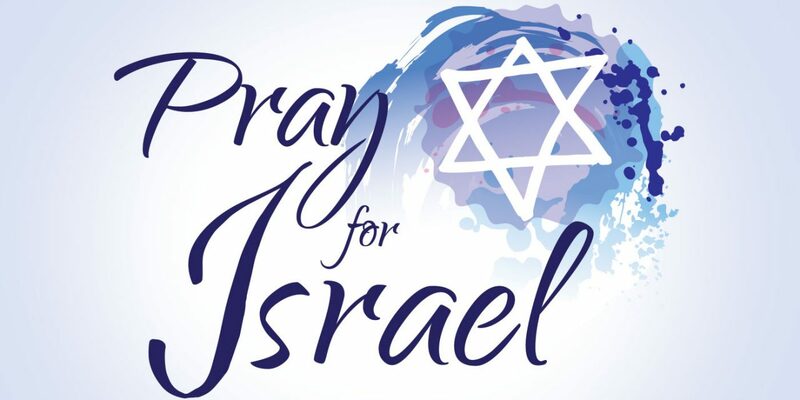 Pray for the safe protection of Israel and all its residents following rocket attacks from Sinai into southern Israel. Praise the Lord that Iron Dome was successful in intercepting the rockets and that no one was injured. Pray for Israel after terrorist organisation, Hamas, elected a violent extremist as the new Gaza chief. Pray that the international community will recognise that peace will not be achieved until the Palestinians completely denounce extremism, including hatred towards Israel. Pray for those wounded when a terrorist opened fire and stabbed at least seven people in an attack in Petah Tikvah market. Pray for the new campaign by CUFI-UK in partnership with Israel Britain Alliance that urges supporters of Israel to contact the head of Universities UK to not allow the untruthful, anti-Semitic, intimidating ‘Israel Apartheid Week’. Pray for Jewish students on campus during these next few weeks and that the truth about Israel will reverberate at universities across the country. Pray especially for the safety of Jewish students on campuses across the UK as anti-Israel groups mark the hateful and intimidating ‘Israel Apartheid Week’. Pray that the truth about Israel will overcome the lies being perpetuated. Praise the Lord that University of the Central Lancashire and University College London have cancelled ‘Israel Apartheid Week’ events. Pray that other campuses will follow. Praise the Lord that an Israeli breakthrough has once again been in our news – this time a revolutionary device that reduces the need for follow-up surgery following breast cancer. Pray that this, and many other Israeli advances, will be an effective contribution to the medical world and benefit those that are in need of these important innovations.